Fire resistant, security rated, glass steel profile doorsets from Samson! The newest addition to our glass door range is one of our very own from the new SteelGuard range: the VisionGuard. The VisionGuard's sleek glazing in unison with the door's immense resisting properties makes it an ideal solution for many different commercial premises such as retail shops, hotels, schools and offices. The glazed VisionGuard doors offer up to 2 hours of fire resistance (BS EN 1634-1), and has been established within various fire-resistance classes having been tested against the official guidelines of BS476: Part 22: 1987. The core between the steel profiles is insulating, and can therefore reduce how much heat is transferred from the side of the door that faces a potential blaze. If required, a sliding glazed steel door is also available with this range, with a fire resistance of up to 30 minutes. EI fire rating is also available if required, details on request. Single glazed doorsets are also an option if required. 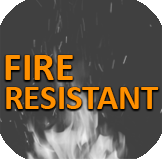 As the VisionGuard is manufactured to defy against any potential fire for a certain duration of time, this naturally strengthens the door and can in-turn resist both fire and intruders. 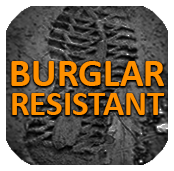 The doors are produced in accordance to the required burglary resistance classes between RC3 - RC5. 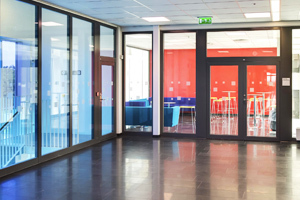 Many glazed doors are used as a main entrance to a commercial building and security is very important, this is recognised in the VisionGuard glass door. Additionally, the glazed steel door has been certified as Secured by Design, an initiative supported by the Police that means the door has undergone thorough testing to resist potential intruders and break-ins. 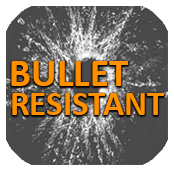 In addition to security and fire measures, of course all safety guidelines are also catered to, including the VisionGuard being finger trap gasket tested to BS476. The leaf and frame profiles are available at 30mm, 50mm and 85mm, whilst there are also narrow profiles at 20mm and wide profiles at 85mm, 130mm, 180mm and 260mm available. As these doors are designed to appear and complement public spaces, various finishes are available, the standard being the polyester powder coated finish from the standard colour range. In addition to this, there is also a non-standard colour range as well as stainless steel brushed, polished and patterned finishes available. Side transoms, top transoms and entire glass wall infills are also available to work with the doorset. We can manufacture the whole glass doorset and surrounding walling system to suit each individual requirement. If required, the doorset can also be ordered unfinished for any on-site finishing where necessary.